Merseyside was the cradle for Britain's 20th century suburban railway revolution. 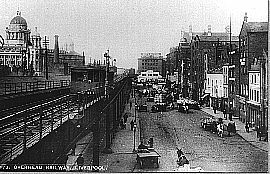 In the last decade of the nineteenth century a railway line was opened along the length of Liverpool's dock estate that was to become both a distinctive feature of the city and a trend-setter for future urban transportation over the following decades. 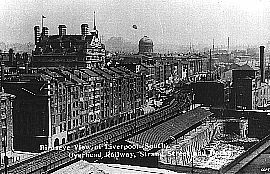 It was known as The Liverpool Overhead Railway (LOR) as it was built on an elevated iron structure along the length of the Dock Road. It was built as a result of considerable congestion on the roads serving the docks which urgently needed better service. The LOR achieved this with a frequent and swift service of trains serving the closely spaced stations along its length. The line was locally prominent because of the nature of it's construction, but nationally important as a result of how it was operated. 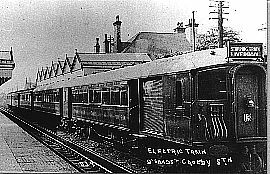 The trains were powered by electricity, at the time of opening in 1893 it was the first open air all electric railway in Britain. 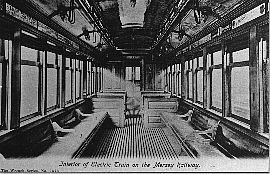 The trains themselves combined both traction and passenger carriage into one self contained two coach unit which dispensed with the need for locomotives. In less than half a century more passenger journeys in Britain were being made on trains that worked on the same principle. 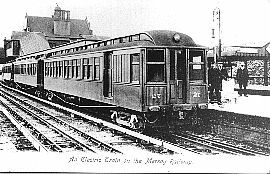 The suburban lines into Liverpool were prime targets for electrification and the first railway in Britain to convert from steam to electric operation was the Mersey Railway in 1903 when they electrified their line from the city to Birkenhead and Rock Ferry. It is a fact that prior to electrification the Mersey Railway were on the verge of bankruptcy due to low patronage caused by the choking atmosphere created by the steam trains in the tunnel under the river. Birkenhead certainly owes it's direct railway link with Liverpool to the invention of the electric train ! The railway also pioneered huge leaps in suburban railway infrastructure, the most notable being the use of signals that were worked automatically by the passage of the trains. These factors allowed the LOR to provide an intense urban railway service that was unequaled any where in the country. Liverpool had set new standards and the rest of Britain was quick to follow the inventiveness of the LOR and suburban electrification was initiated in all larger cities. 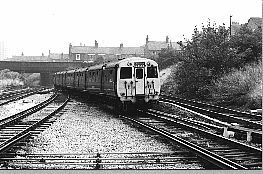 By 1915 Merseyside had an electrified suburban network that was only bettered, in terms of mileage, by London. The Lancashire and Yorkshire Railway had, from 1904, commenced electrifying their busy commuter routes that ran into Liverpool Exchange station from Southport, Crossens and Ormskirk. 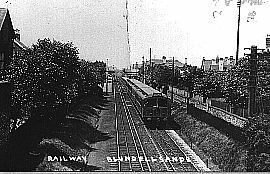 Electrification continued during the pre war years with the Wirral lines from Birkenhead to West Kirby and New Brighton being electrified in 1938 under the management of the London Midland & Scottish Railway. By linking up with the Mersey Railway system this gave travellers from these districts an uninterrupted journey by swift and efficient electric trains directly into the city. 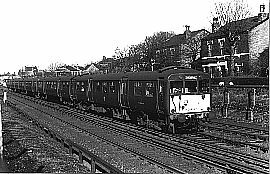 At this time modernisation to stations and signalling was also carried out by the LMS to the Wirral and former L & Y routes out of Liverpool Exchange including replacement of the old rolling stock by state of the art designs. The system survived even the Beeching era intact and is now a suburban network that is ready to face the needs of the next century. The opening of the underground tunnels and extensions in the late 70s created an integrated suburban system that, like the LOR 80 years earlier, set a new standard of urban and suburban transportation from which other cities have taken their future policy.